New York, NY, August 4th, 2007: After being released from prison in Jamaica after 8 years, there has been plenty of buzz going around the streets of New York, and just about every major city in the states about when/where/and whether or not Siccaturie ‘Jah Cure‘ Alcock will be coming to the United States. Well, it has finally been confirmed by the Iyah Cure Music camp that Jah Cure will make his first appearance in the United States at Reggae Carifest 2007 on August 25th at Randall’s Island in New York. Cure, one of the most compelling and propelling forces in Reggae, is slated to make a special guest appearance along with the biggest International names in Reggae and Dancehall music at the 10th Anniversary staging of Carifest, North America’s premier summer Reggae event. Cure will be appearing with Ninja Man, Buju Banton, Bounty Killer, Mavado, Sean Kingston, Lucky Dube, Collie Buddz, Third World, and host of other A-list entertainers from around the globe. This momentous event will mark Jah Cure’s first ever appearance in the United States, in addition to being Ninja Man’s first U.S. appearance in 15 years. "Jah Cure is on schedule to make his debut American appearance at Reggae Carifest," confirms manager Allison Hunte. "Pending his travel arrangements come through, Jah Cure will physically be on stage at Randall’s Island on August 25th to promote his upcoming Curefest in Oc tober." "Jah Cure is definitely one of the strongest artists that we’ve witnessed in a long time," states Carifest Organizer D’Niscio Brooks. "The fact that he would reserve his first U.S. appearance for Reggae Carifest is not only an honor, but a testament to how powerful and popular the show is. North America has been longing for Jah Cure for eight long years, and now they’ll be able to celebrate with him at Carifest." Mentored by Reggae Legend Beres Hammond, Jah Cure’s soothing melodies and movingly spiritual lyrics, has made him one of the most recognized voices in Reggae. Since his emergence in 1997 with the Sizzla duet "Divide and Rule", he has been a virtually unstoppable force. 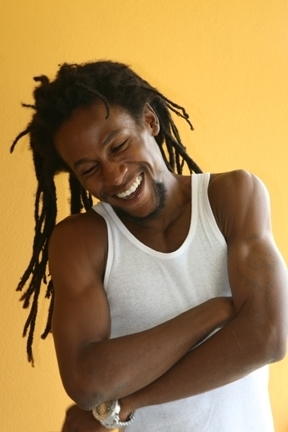 Even through his controversial incarceration in 1999, Jah Cure continued to crank chart-topping hit after hit, including "Jah Bless Me," "Sunny Days," "Longing For," "Love Is," "Jamaica," "True Reflections," "Dem Nuh Build Great Man," and his current hit single "Sticky." Reggae Carifest 2007 will be held on August 25th at Randall’s Island in New York City. Tickets are currently on sale for $47 (general admission) and $92 (VIP admission). Tickets are available on line at www.ticketmaster.com and at all Ticket Master locations. Tickets are also available at Temptations in Brooklyn, Original Records in Queens, Rocatone Restaurant in the Bronx, and Jammyland in Manhattan. For a full listing of local ticket outlets, log on to www.reggaecarifest.com, or call Team Legendary at 718-856-3336. TEXT ‘CARIFEST’ TO 23907 on your mobile phones, FOR A CHANCE TO WIN FREE TICKETS AND PRIZES! Log on to www.reggaecarifest or www.myspace.com/reggaecarifest for more information.